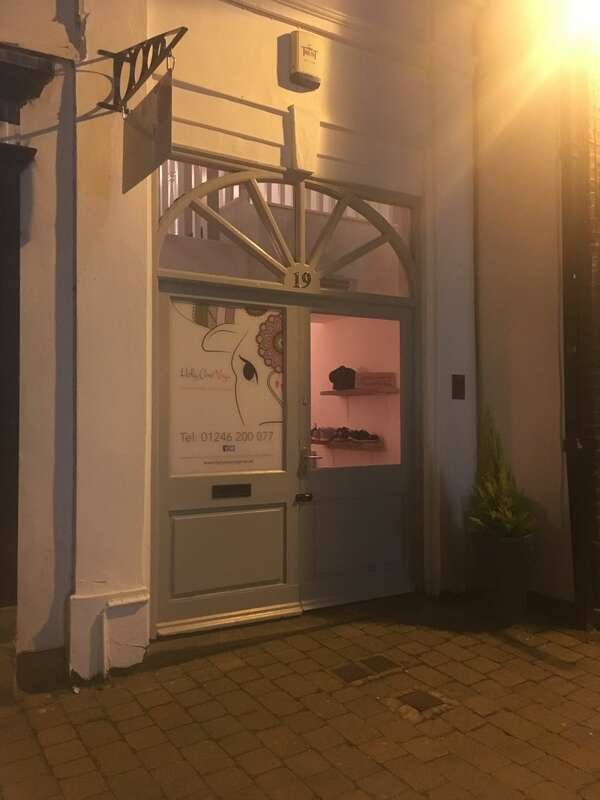 As you’ve probably noticed from my recent blog posts and Instagram pics, I’ve been trying to find more exercise that I actually enjoy and I much prefer going to classes with my friends to slogging it in the gym so I was really excited when I got invited to try out Holy Cow Yoga, a brand new yoga studio in the centre of Chesterfield. 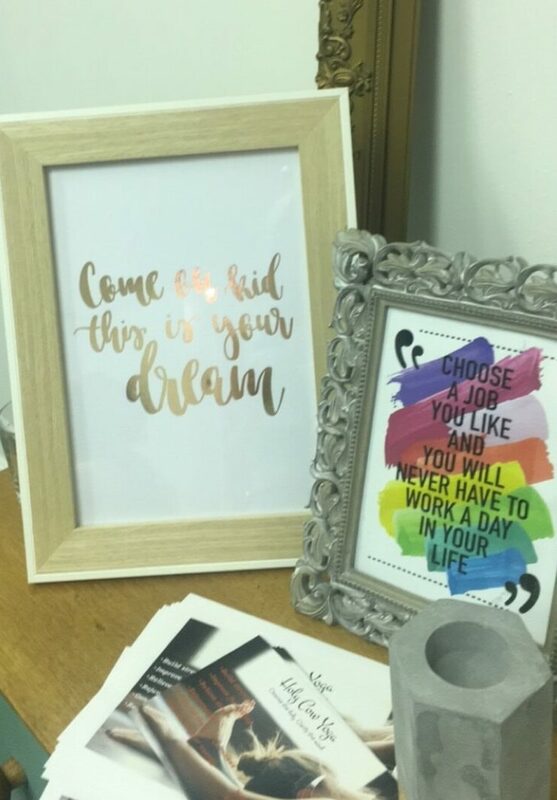 The studio itself is really beautiful, you can really tell when someone loves what they do and puts their heart and soul into the business and that’s exactly what it’s like here – there are loads of little personal touches everywhere. There’s a tranquil, relaxed and friendly feeling, you leave your shoes downstairs and then everyone congregates in the waiting room area before going through to the studio. There are changing rooms here so it’s perfect for an after work class too. We tried out the Hot Vinyasa Flow class. This is intended to be a warm class, so the room isn’t heated to 37 degrees like the Hotpod Yoga that I recently tried out, but the room is kept really warm and we were definitely sweating by the end of the class. Vinyasa is one of the most popular types of yoga as there is a constant movement and flow between each pose and each movement is synchronised to a breath. To say the least, it was pretty challenging and maybe slightly advanced for my ability but we really enjoyed the class and definitely felt like we’d worked hard, which I think can be a bit of a problem with some yoga classes which I find too easy. There’s also a lovely relaxation and massage bit at the end which is definitely my favourite bit of any yoga class – sometimes I like to drift off and have a little nap! The teacher, Taran, was simply amazing! You can tell that she lives and breathes yoga (picture someone running a yoga retreat in Bali and you won’t be far wrong!) and her body is out of this world! I was simply in awe of how gracefully and controlled she was as she moved into each pose and she was also great at getting the best out of the students in the class. She was constantly giving us pointers and helping us stretch to reach deeper poses. We loved our class at Holy Cow Yoga and we’re really looking forward to visiting again. Find out more about Holy Cow Yoga and book your next class here. 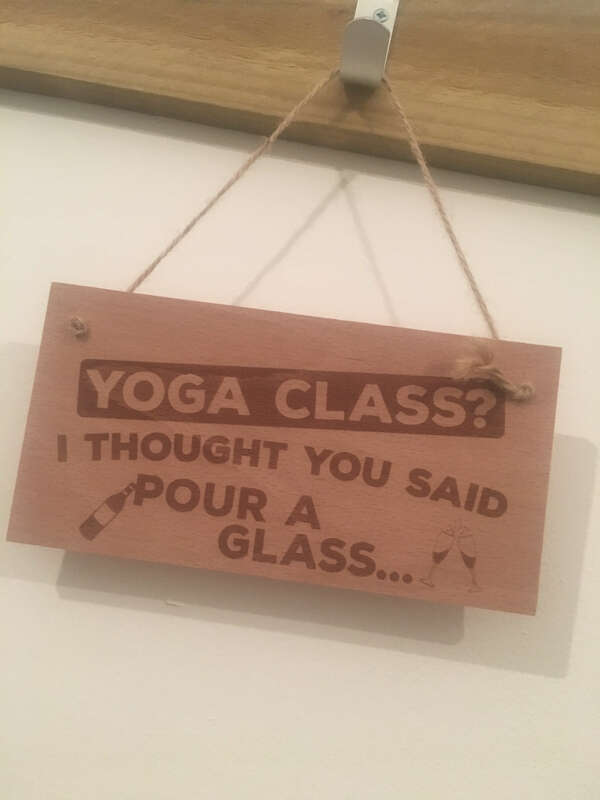 We were invited to try out a complimentary class at Holy Cow Yoga in Chesterfield but all opinions, as always, are my own.